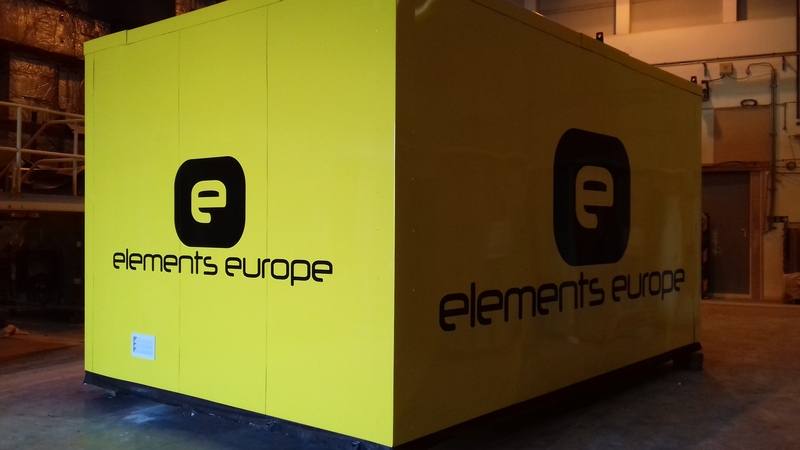 Elements Europe has manufactured a modular Tool Store for its Creekside Wharf residential development in Greenwich. The Tool Store will be moved by crane, up each floor with the install of modules so that the team have all the tools, fixing, and joining materials they need for the modules. For the team it means they won’t have to carry tools up the tower block and will therefore gain greater efficiencies. “We are always striving to streamline tasks to make timing efficiencies where possible, the Tool Store will certainly make a huge difference to the team and our programme” commented Nick Davies, Production Manager. Elements Europe is manufacturing and installing 653 modules to this residential development in Greenwich for client Essential Living. These modules will make up 249 apartments in total, across two towers, a 23 storey and 12 storey block.